A bird-borne pathogen has been linked to a cluster of equine abortions in New South Wales, Australia. A pathogen carried by birds has been linked by Australian researchers to a cluster of equine abortions in New South Wales. The researchers found a smoking gun when they examined the potential role of the bacterium Chlamydia psittaci in the abortions. While birds are the major reservoir, it is capable of infecting humans, horses and other mammals. The strain linked to the Australian equine abortions is carried by parrots. It all began in November 2014, when health authorities in New South Wales were told of a cluster of respiratory illness among four staff and students at the veterinary school in Wagga Wagga. Inquiries identified another case at a local horse stud. All cases were traced back to exposure to the equine foetal membranes of a mare at the stud who had given birth close to term. Her foal died a week later. The membranes passed by the mare were found to be grossly abnormal and had been kept for veterinary examination. Samples of this tissue tested positive for C. psittaci. 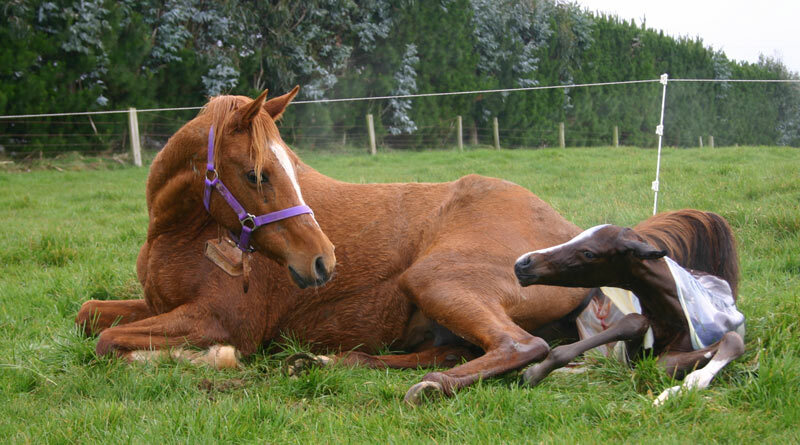 Cheryl Jenkins, Martina Jelocnik and their colleagues decided to screen for C. psittaci in cases of equine reproductive loss reported in regional New South Wales during the 2016 foaling season. They used genetic-based screening in their efforts to detect C. psittaci in foetal and placental tissue samples from equine abortions, which totalled 161, and in newborn foals with compromised health status, which numbered 38. The study team, writing in the journal Emerging Microbes & Infections, found that 21.1% of foetal and placental tissues tested positive for C. psittaci, and 23.7% of samples from the foals. There was a statistically significant geographical clustering of cases about 170km inland from the mid-coast of New South Wales. The C. psittaci strains from both Australian equine disease clusters belonged to the parrot-associated 6BC clade, suggesting spill-over from native Australian parrots. “The results of this work suggest that C. psittaci may be a more significant agent of equine reproductive loss than thought,” they concluded. “The loads of C. psittaci detected in placental and foetal tissues varied between cases, but were sufficiently high to induce suspicion that this organism was directly associated with equine reproductive loss. They said a range of studies were now required to evaluate the exact role C. psittaci plays in equine reproductive loss, the range of potential bird reservoirs, factors that influence infection spill-over, and the risk that these equine infections pose to human health. C. psittaci has a broad host range. Birds are the major reservoir, with nearly 500 avian species known to be susceptible to infection and disease (psittacosis). Cases of psittacosis have been reported in humans, ranging from subclinical infections or mild respiratory disease to life-threatening pneumonia and systemic disease. There have been rare reports of human-to-human transmission. C. psittaci infections in other mammals have been less well-studied, with prevalence rates potentially underestimated. It has been detected in dogs, cats, pigs, cattle, buffalo, goats, sheep and horses, in association with respiratory, intestinal and arthritic diseases, as well as reproductive loss. The strongest evidence for the potential of C. psittaci to cause infection and disease in a non-human mammalian host has recently re-emerged in horses. C. psittaci was previously identified as the most likely cause of reproductive loss in about 14% of horses in a Hungarian study, and was also isolated from an equine abortion case in Germany. The researchers said there was unfortunately precious little published data available on the genotype of C. psittaci strains predominantly found in Australian parrots, despite the fact that psittacosis has been recognised as endemic in Australian parrots since at least 1935. “If parrots are indeed involved, the exact species of parrot involved in this epizootic is currently unknown, with the inland mid-coast area home to a range of endemic parrot species. The timing of cases examined in this study suggests that seasonal and/or environmental factors may contribute to infection prevalence. They said wider evidence to date, including cases of equine abortion caused by C. psittaci in parts of the world where parrots are not found, suggests other evolutionary lineages of the bacterium may also have the potential to infect horses. They said the relative risk of exposure to C. psittaci-infected horses to human health from these equine infections remained unclear. “The exact risk obviously requires further detailed investigation,” they said. The full study team comprised Jenkins, Jelocnik, Melinda Micallef, Francesca Galea, Alyce Taylor–Brown, Daniel Bogema, Michael Liu, Brendon O’Rourke, Catherine Chicken, Joan Carrick and Adam Polkinghorne, from a range of Australian institutions.